Great chocolate seems to attract adjectives that involve angels and devils in equal measure. Heaven in a bar. That's a good way to describe slices of today's chocolate bar. 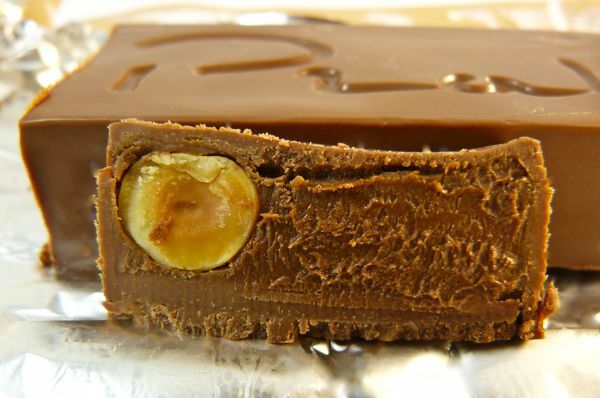 Each piece of this bar tasted like a high end truffle with a creamy* chocolate hazelnut center. Or, one could call this French bar devilishly good -- as the name (Barre Infernale) suggests. 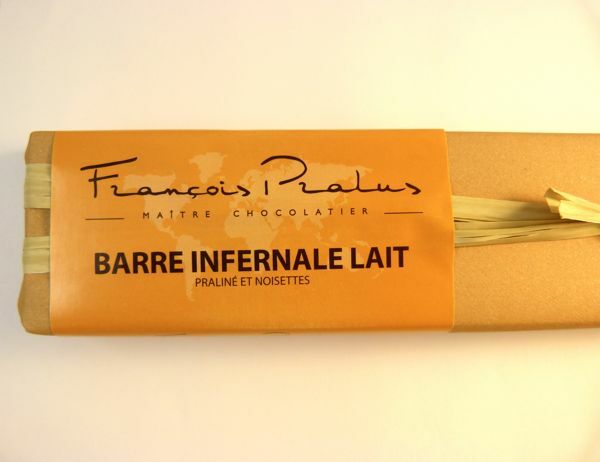 Either way, this filled milk chocolate bar from Francois Pralus (France) was memorable and extremely good. *Note: "Creamy" doesn't quite cover it. Think buttery, only better.